Once your online transaction has been completed, your order will be confirmed by email. The products will be prepared for delivery and shipped within 24 hours with the exception of orders placed at the weekend which will be shipped the next working day. Do Palette offer free delivery? Free delivery to members of the VIP Loyalty Scheme, when offered. This free delivery offer will be revoked should you decide to return a product. The costs that we incurred to mail / ship your product will be deducted from the value of the product to be refunded. This *free delivery offer, is not available for products that are on sale or discounted. *Not applicable to members of the VIP Loyalty Scheme, when offered. 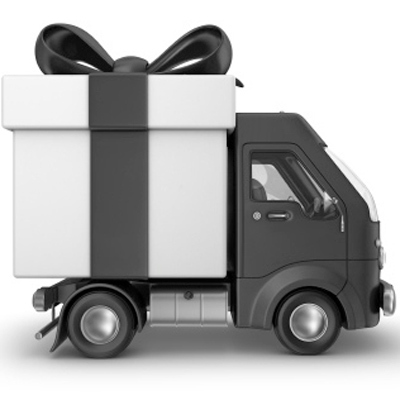 Palette will deliver your product to the address supplied during the checkout process. You will be required to sign for the delivery. Should you be unavailable to sign for the parcel, a card will be left to notify you of attempted delivery, and you will be able to arrange an alternative day. 1. To the UK, we use Royal Mail first class sign for. 1-2 working days. If you require next day delivery in the UK, please contact us at info@palette-london.com and we’ll be happy to provide you with a quote. Please note that next day delivery is not available for orders made after 1pm or at weekends. (II) If, for some reason, your order cannot be met or delivered within the specified time, we will contact you immediately to make alternative arrangements. If I return a product, are delivery charges refunded? We do not refund delivery charges, should you decide to return a product; the cost for returning the product to Palette is your responsibility. Please see our 'Return Policy' for full details. Will I incur Custom & Duty charges? If you are ordering product from outside of the European Union, you may incur Customs & Duty charges. Any customs or duties are charged once the package reaches its destination country. You must pay these charges. We cannot calculate your import duty for you, you must contact your local customs office for current charges before you order. Can I arrange alternative delivery? Should you require an alternative delivery procedure than that detailed above, please contact us on +44 (0) 207 490 5580 or via info@palette-london.com and we will be delighted to quote a price for mailing / shipping a product to your destination.